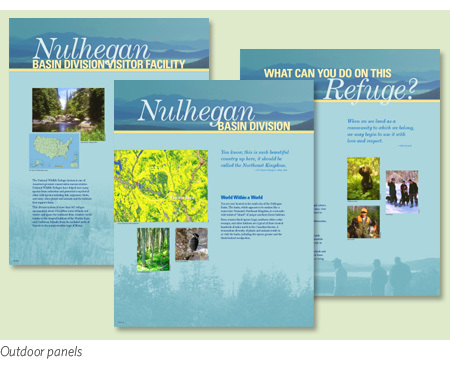 For the new Nulhegan Basin National Wildlife Refuge visitor center, U.S. 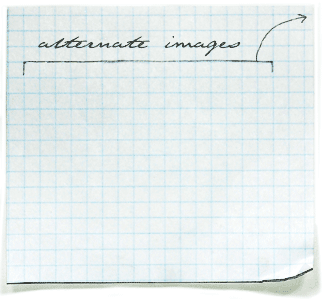 Fish and Wildlife needed not only the design for interpretive panels of all sizes, but also the development of graphic standards. The standards were well-received and have also been used in the Ohio River visitor center. We developed the graphic standards for both outdoor and indoor exhibit panels and designed approximately fifty color-coded panels, banners, interactive components, and murals. Art direction and graphic design: Sara Delaney; architects: Cambridge Seven Associates; fabrication: WB, Inc.